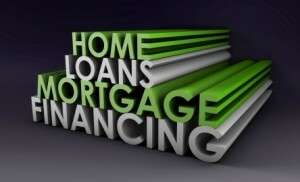 The mortgage industry as a whole is experiencing big changes in credit requirements. The requirements keep getting tougher as more and more foreclosures hit the books. The strict requirements are all with good reason. Here are some of the new updates with loans. FHA just announced that they will only allow the seller to pay 3% of your closing costs. In the past the seller could pay 6% of your closing costs. So essentially you will need your 3.5% down payment along with another 3% in closings costs to get into a home. This change will affect many Americans trying to buy. In a nut shell you will need 6.5% of the sales price to secure financing. Also FHA increased the Mortgage Insurance Premium (M.I.P.) to 2.25% of the loan amount. It was 1.75% which was increased from 1.25% in 2008. These changes are due to the high number of foreclosure across the U.S. FHA is the only part of the government that is not funded by tax payer dollars. So they have to keep a certain amount of money from (M.I.P.) stock piled for insurance claims from banks due to foreclosures. This stock pile has been on a steady decline due to high number of foreclosures, and is in need of help. This is why we have the M.I.P. change. FHA will allow you to get a loan down to a 580 credit score with 3.5% down, but most banks require a 620 or higher credit score. So even though the guidelines might be a certain way with F.H.A., the requirements will differ with banks. Folks this is the reality of the matter currently. So let’s recap on requirements for F.H.A. 4. Higher M.I.P. (2.25%) of loan amount. Conventional loans are the most difficult to get. You will need a minimum of a 720 credit score to get a good rate and terms. Some banks will go lower, but scores below a 720 are tough to get done. Conventional loans require 5% down payment and the seller can only pay 3% of your closing costs. So this type of loan is for borrowers with excellent credit and money to work with. If you are in the market to get a mortgage, I would recommend getting your credit report. You can get your free credit report with no credit scores at www.annualcreditreport.com or your credit report with scores at www.creditscorequick.com. 2010 marks the culmination of a 17 year effort to help consumers save money on mortgage loan closing costs by allowing them to compare apples to apples. Until now, lenders were encouraged to provide a good faith estimate, but not all did, and even when they did the fees and costs were not always clear. Each lender had its own form and method of dividing up costs, so a consumer could have a tough time trying to compare fees between two lenders. Now the form is standardized and each cost has its own designated spot. Lenders are required to provide consumers with the GFE within 3 days of making a loan application and are required to stand by that estimate for 10 days. This is in order to allow the consumer time to make comparisons. Once a lender is chosen, that lender has to stick with the fees listed for its own services on the GFE. One drawback to this new RESPA rule is that lenders – no longer able to use bait and switch tactics – will be unwilling to pre-approve a borrower. The new form contains clear definitions of loan terms and a place for comparison between different loan programs offered by the lender. 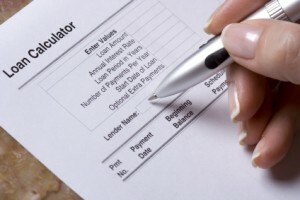 Another page serves to help consumers compare fees between different lenders. Lenders don’t guarantee exact prices for services provided by other vendors, such as title insurance and inspections. However, as long as the consumer chooses vendors from the lender’s approved list, those fees cannot be more than 10% higher than the estimate. This rule means liability for the lender if a service provider’s fees turn out to be higher than anticipated. Thus, lenders will be keeping their approved lists short in hopes that consumers will go “off list.” If a consumer decides to shop around, the lender bears no responsibility for accuracy of the estimate. Another intent of the new GFE form was to allow borrowers to compare the good faith estimate with the final HUD-1 statement. Unfortunately, that didn’t pan out. The comparison is possible, but time-consuming, as fees and costs are itemized on the HUD-1 while they are categorized on the GFE. 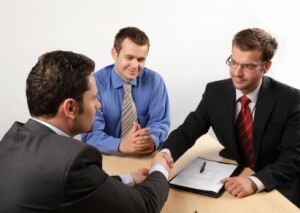 Lenders are supposed to present the borrower with the final closing statement one day prior to closing. Thus there is time to make the comparison ahead of closing. Just to be on the safe side, borrowers would be well advised to take the time to compare those statements before heading off to sign the papers. 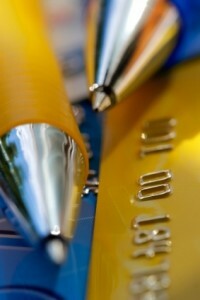 Credit card holders across the U.S. are rejoicing because the restrictions on card issuers will soon come into effect. Many of the provisions will provide consumers with much needed relief. But don’t count on these new regulations to prevent every unfavorable action by credit card issuers. Even after the law becomes effective on February 22, you’ll still need to keep a careful watch on all correspondence from the bank, and you’ll still need to be vigilant in order to maintain your credit scores. So continue to read everything the bank sends, and check all the figures on your statement monthly. Credit card issuers will retain the option to reduce your credit limit, close your account entirely, or add some new fee. And with regard to new fees, it’s safe to assume that most banks will add them in an effort to increase their profits, and some banks have already begun to do so. For instance, some banks are charging a fee of $19 after 12 months of inactivity. Citi is tacking on fees of up to $90 on some accounts that don’t meet annual spending thresholds. Since high credit limits that aren’t being used do positively impact your credit scores, you should take steps to keep all of your accounts open and their credit limits high. In fact, it is a good idea to ask for limit increases right now – before the new laws come into effect and make it tougher. Under the CARD Act, issuers will not increase credit limits unless they consider the consumer able to make required minimum payments using all of their available credit. In order to keep all of your available credit lines open you should use every credit card you own, at least once every calendar quarter, because some banks are simply closing unused accounts. Contrary to what you might think, you don’t need to carry a balance to keep your credit card issuers happy with you. While they would like to earn interest on your balance, they still make money from the vendors every time you use your card. This is a fee of 1 to 3 percent of the purchase price, depending upon their agreement with the vendor. So use that card for a few routine purchases and then pay it off when the bill arrives. Even if you don’t plan a credit purchase in the near future, keeping your scores high is in your best interest. The first thing to do this year with regard to credit is to read your credit report, learn your scores, and look for errors or signs of identity theft. If you have credit cards you want to maintain high credit scores to prevent your credit limits from being lowered. Thus, your credit score is important even if you don’t plan any major credit purchases in the near future. So get any errors corrected right away. And of course, if there’s any suspicious activity such as a balance on a card you haven’t used, a change of address you didn’t ask for, or an employer you don’t know – look into it immediately. Those are signs of identity theft. Next, pay down your holiday purchases, because your card issuer could decide to hike the rate on your existing balances between now and February 22, when the new laws go into effect. While the CARD Act is beneficial to consumers in many ways, it has promoted credit card issuers to think of new ways to profit. 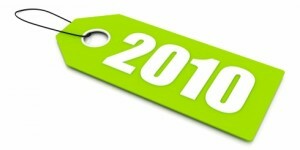 So be on the lookout for new fees, and keep an eye on your rewards points. The new law left credit card issuers with the right to scale back their rewards programs and to make it more difficult for you to redeem their points. Thus, the best course of action is to redeem your points as soon as you have built up enough to do so. Be sure to read all the literature regarding those points, because some banks, such as Citi, have made changes that include an expiration date on points. If you don’t use them, you lose them, so hurry up and use them. Interestingly, even while the banks are working to improve their own profits, they’re offering some free on line tools to help you improve your own financial situation. These free tools include spending analysis tools and payment plan creation software that can help consumers set budgets and track their own spending habits in order to make necessary adjustments. One caution, however. Some of these free benefits come with fine print. If you sign up, you could be opting in to a fee-based service that kicks in after an initial trial period of 30, 60, or 90 days. So don’t say “yes” until you’ve actually read the terms of service. Remember, when you opt in you’ll check the little box that says you read them – if you don’t, and those terms spell out a monthly fee, they won’t feel obligated to reverse any charge they apply to your account. When refinancing your home mortgage loan, you’ll get the lowest interest rates by taking a few preliminary steps. Begin with checking your credit report for errors. 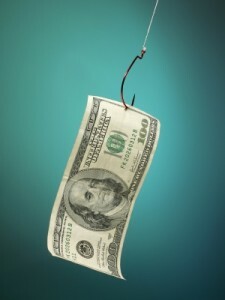 Experts say that at least 75% of all credit reports have errors. Some are minor, but some are serious and can hurt your scores. Be sure to check for old accounts that have been paid in full but still show up – and old collections that should have been removed. Collections are supposed to come off your report after 7 years, but it doesn’t always get done. After you’ve checked for financial mistakes, check your name and address. Incorrect spelling or wrong addresses won’t hurt your score directly, but consistency looks better to lenders. If you find errors of any kind, write the credit bureau and ask them to make the corrections. Be sure to give full explanation, and be polite. If you have some high credit card balances, pay them down as much as you can, and then transfer balances so that you are not using more than 30% of your credit line on any one card. If you can get it down to 20% or less, that’s even better. Don’t close any credit card accounts. The more credit you have available compared to the amount you’re using, the better your scores. Don’t pay off your car or school loan. The more kinds of credit you are using responsibly, the better. Don’t apply for any new credit card accounts – or take on any other kind of credit obligation – until after your refinance is final. And here’s one that might shock you: Don’t pay off an old debt that has gone to collections. Say you were in dispute over a health club account several years ago and decided you just weren’t going to pay it. Since then it’s gone into collection and shows up as a black mark on your credit report. If you decide to pay it now, it will show as new activity, and count more toward determining your credit score than if you just leave it alone and let it be past history. You can gain points by contacting the collection agency directly and offering to pay the account if they will remove it from your credit report entirely. If the first person you speak to says no, ask to talk with a supervisor. The first step is to read your credit report – order yours right now. Next year, lenders will have to tell consumers if they’ve been subjected to “risk-based pricing” when getting less than favorable terms on a loan. Because the majority of credit reports do contain errors, this regulation could have the effect of enabling consumers to dispute the errors that harm their scores, and thus re-negotiate the loan in question. Mistakes on credit reports can run the gamut from bills being listed as having late payments when the account has always been in good standing, to accounts being attributed to the entirely wrong consumer. The report could also show account balances for bills that have been paid in full. That’s why it’s so important for consumers to regularly review their own credit reports and check for inaccuracies. When you think how easy it is to hit the wrong key when you’re entering your own data at home, you can see how easy it would be for a worker who has been at it for several hours. All it takes is one wrong digit in a social security number to put someone else’s information on your credit report. Consumers who do watch their credit reports have another advantage. They can spot signs of identity theft before a thief has time to do serious damage. Identity theft has become big business, and it’s expected to get worse as the economy gets worse. The new rules will give lenders the option of providing their customers with a free copy of their credit score and an explanation of what it means, but don’t count on them to do so. In some instances lenders would prefer that you didn’t know your score – particularly if it’s a good one. If you’ve checked for errors and gone through the steps to see that your report is accurate, but your scores still aren’t as high as you want, there are steps to take. The first is, of course, to pay all your bills on time. Next look at your credit card accounts. If you owe 80% of the limit on one but zero on another, move your balances around to keep every card under 30%. Then, pay down the balances. You can also ask for a credit line increase. This isn’t for the purpose of charging more, but to show that you have more credit than you use. Meanwhile, don’t apply for credit unless you are positive that you both want and need it. 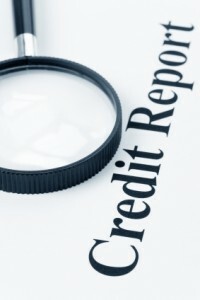 Some reports indicate that every lender inquiry on your credit report will bring your score down 5 points.